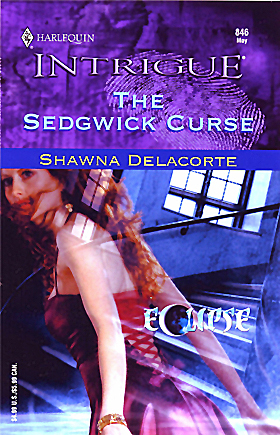 Welcome to the website of romance author Shawna Delacorte. Stop by my blog to check for the latest updates on my "guest appearances." I'll also be doing new posts at least twice a month, hopefully more often. http://shawnadelacorte.blogspot.com. My first published novel, SARAH AND THE STRANGER, was released by Harlequin in August 1992 as part of their Silhouette Desire line. Twenty more Harlequin novels followed that first one including five mystery romantic/suspense novels from Harlequin's Intrigue line. Starting in late 2010, Harlequin began reissuing my backlist titles as ebooks available in Harlequin's ebook store (http://ebooks.eharlequin.com) and also available from Barnes and Noble for Nook Books (www.bn.com) and from Amazon for the Kindle (www.amazon.com). Just type Shawna Delacorte in the search box at the websites to pull up a complete list. On my website Backlist page there is a complete listing of all my Harlequin releases with cover, blurb, and original print release date. On my website Currently Available page you'll find a listing of my books that are currently available, including the ebook reissues from my Harlequin backlist: cover, blurb, excerpts, and reviews. Be sure to check out my website Bits and Pieces page for my biography, some short short story free reads, and the occasional miscellaneous surprise. eBook piracy is becoming a major problem on the internet. When copyrighted material is traded, provided for free, or sold by someone other than the copyright holder (author) or the copyright holder's contracted publisher as listed on the book, it is by law theft of intellectual property. It is hurting the author's career and depriving the author of his/her livelihood. It is also the same as literally stealing money from the author's pocket in that the author is being deprived of the income from sales. Only those books sold through the publisher's website and a few specifically authorized legitimate sites as designated by the publisher provide the author with royalty income. If uncertain about the legitimacy of the site offering the eBook, check with the book's publisher or the author. Please don't participate in this illegal activity. Text Copyright ©1992-2007 by SKDennison, Inc. Cover Art Copyright © 1992-2007 by Harlequin Enterprises Limited. Permission to reproduce text granted by Harlequin Books S.A. Cover art used by arrangement with Harlequin Enterprises Limited. All rights reserved. ® and ™ are trademarks owned by Harlequin Enterprises Limited or its affiliated companies, used under license.